A free online video on Adventure Boot Camps helps personal trainers increase income and business. 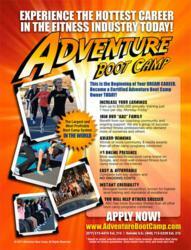 Adventure Boot Camp has been a successful fitness program for more than a decade. When investing in a fitness brand, you need one that stands out like Adventure Boot Camp. As easy and effective as A-B-C, the Adventure Boot Camp program remains the [most successful boot camp brand and business system in the world. 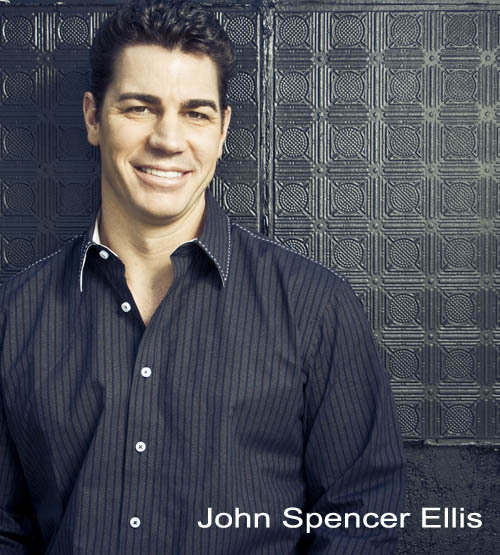 A free new online video by creators John Spencer Ellis and Kelli Calabrese is designed to help personal trainers and fitness pros learn more about this proven system and how it can help them boost both business and client satisfaction. Fitness and personal development guru Ellis and international master fitness trainer Calabrese created Adventure Boot Camp in 2000 to offer an effective, results-oriented workout, now available in hundreds of locations. “Fitness boot camps are fun and profitable for personal fitness trainers, but if you don’t know how to start a boot camp business and run an effective boot camp marketing campaign, it can be challenging. That’s why we created the Adventure Boot Camp business system as a turn-key, comprehensive business model that gives you everything you need for unstoppable success,” Ellis said. The full-length educational video explains how Adventure Boot Camp works, its benefits and the step-by-step blueprint for implementation. 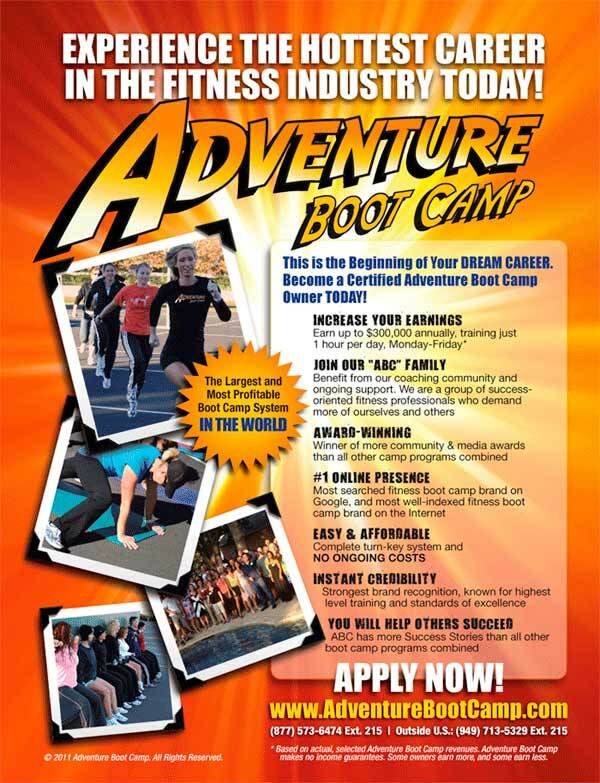 Adventure Boot Camp is the most recognized boot camp brand, the top search on Google, and the No. 1 recipient of community and media awards globally when it comes to boot camps. There are no monthly fees associated with Adventure Boot Camp. Anyone who signs up for Adventure Boot Camp after viewing the video will also receive two free months of Fitness Fortunes, a personal coaching program with advice on growing a fitness, personal training or boot camp business. Online, self-paced training for the Adventure Boot Camps is provided by the National Exercise & Sports Trainers Association (NESTA) for personal trainers, teachers and coaches looking to expand a current fitness business. Adventure Boot Camp is the only [ fitness boot camp system that is approved and recognized by a nationally accredited fitness school.